The September school holidays in Melbourne can be hit-and-miss weather-wise. Some years we have been swimming at the beach, others we’ve stayed indoors wondering when winter will ever end. With the holidays upon us, I figure it’s a good idea to have a few activities to keep little hands busy, should this break end up being of the indoor variety. 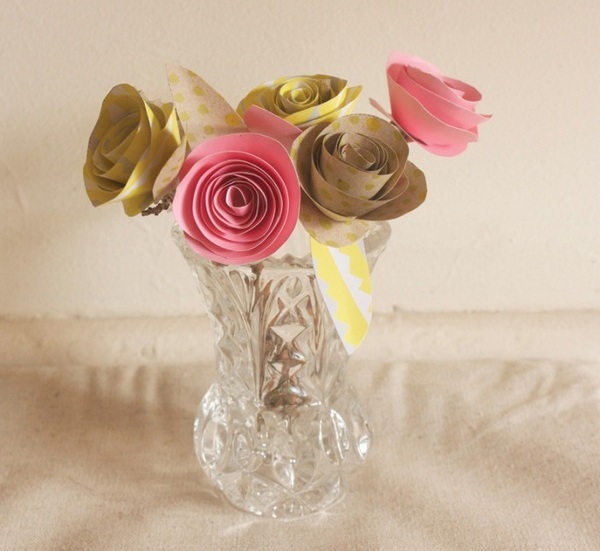 Take a peek at Karli Aliza, a collection of paper crafts that are so beautiful that they qualify as decor pieces. 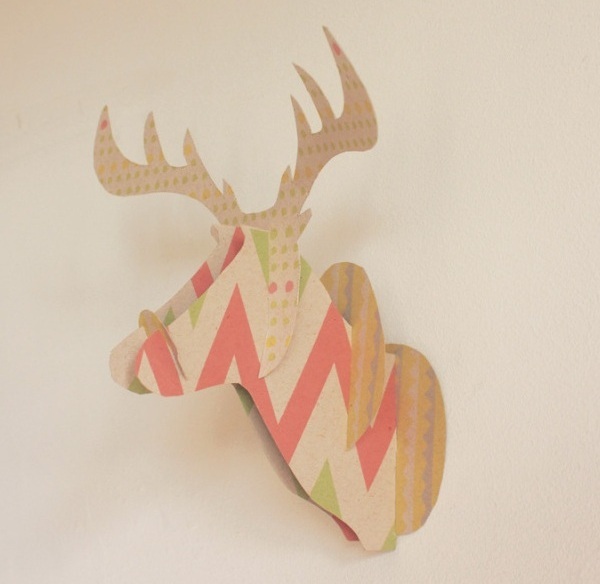 The eclectic range includes a cardboard moose head made from natural cardboard printed with gelato-bright geometric patterns, delicate paper roses and sweet paper birds. 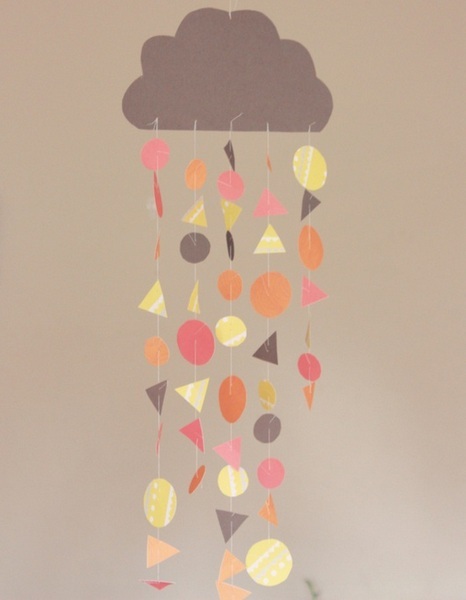 My favourite is the Sun Shower mobile, a beautiful light paper mobile of bright shapes hanging from a grey cloud – a fantastic choice for a nursery. 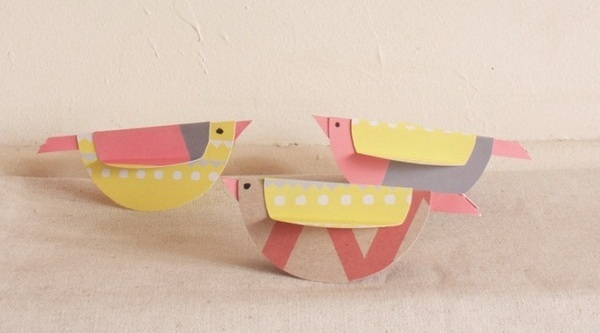 The paper craft kits are suitable for children, with the simplest projects being the birds and the roses. Karli Aliza also has a range of gift items available including cookie cutters, printed calico bags (there’s a terrific one for all of your craft bits and bobs) and cards. 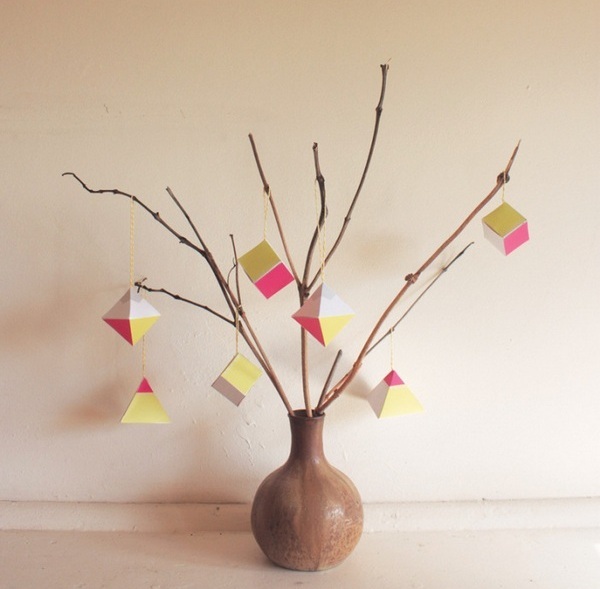 Paper craft kits are available from the Karli Aliza Etsy store. Kits are $9.95 each and Karli Aliza deliver Australia-wide.